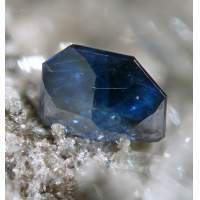 The EMG is a special interest group of the Mineralogical Society of Great Britain and Ireland. Our remit is to encourage, promote and support research in the broad field of environmental mineralogy and biogeochemistry in the UK and Ireland. We achieve this by regularly sponsoring and organising research seminars, meetings and conferences, both nationally and internationally. The Chair of the EMG represents the EMG Committee on the Mineralogical Society Council, which meets twice per year. In this capacity, the EMG Committee helps steer Mineralogical Society activities and input into procedures for awarding Mineralogical Society bursaries, prizes and medals, and positions on the Society Council. Further details about the group are available from the Secretary. EMG Research in Progress Meeting: The EMG holds an annual Research in Progress (RiP) meeting, usually hosted by one of the committee members at their affiliated institution. This is typically a one-day meeting that aims to support early career scientists in networking within the UK environmental mineralogy community, and provide an opportunity for presentation and discussion of work in progress. We typically have 1–3 Keynote speakers. The EMG covers all meeting costs, including room hire etc, delegate registration, and tea/coffee plus lunch. We also offer travel bursaries of up to £50 for each student presenting a talk and a prize of £50 for the best student poster. The 2019 Research in Progress meeting will be joint hosted with the Applied Mineralogy Group on June 13th at the British Geological Survey. Speakers: The EMG also supports keynote speakers and can contribute to symposia and sessions at national and international conferences. EMG Bursary Scheme: The EMG offers an Early Career Researcher Bursary to support early career scientists (Postdoctoral Researcher, fixed-term Research Fellow or fixed-term academic appointment) to carry out seed-corn research and pump-priming ideas that are expected to input into future publication and/or research funding applications. Click here for more information. EMG Committee Meetings: The EMG Committee aims to meet ~3 times per year, one meeting to include the EMG AGM. If you are interested in becoming a member of the EMG Committee please contact the Chair.